There are 11 Memory Care Facilities in the Durham area, with 3 in Durham and 8 nearby. The average cost of memory care in Durham is $5,365 per month. This is higher than the national median of $4,650. Cheaper nearby regions include Raleigh with an average starting cost of $4,482. To help you with your search, browse the 25 reviews below for memory care facilities in Durham. On average, consumers rate memory care in Durham 4.8 out of 5 stars. Caring.com has helped thousands of families find high-quality senior care. To speak with one of our Family Advisors about memory care options and costs in Durham, call (855) 863-8283. In a state where about 160,000 people have dementia, Durham is a rapidly growing city with a population of 267,000. This rapid growth is largely due to this city’s presence in the high-tech sector, especially healthcare and biotechnology. The senior population of 10.2 percent has also kept pace with Durham’s growth, remaining stable during this period. Durham has a total of 26 memory care facilities in the surrounding area, with two of these within the city limits. These facilities are specifically designed for residents with a variety of cognitive conditions, including dementia and Alzheimer’s disease. 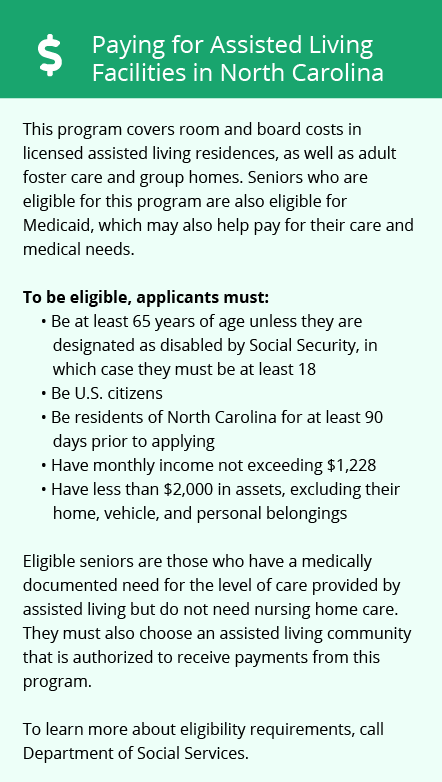 The state of North Carolina regulates memory care facilities through its Division of Health Service Regulation. Durham has an average of 220 sunny days compared to the U.S. average of 205, giving it a favorable climate for senior citizens with sensitivity to cold weather. The average low temperature in Durham is 28 degrees in January, which is essentially identical to the average low temperature for North Carolina. The average annual snowfall of 3.6 inches is much less than the U.S. average of 25.8 inches. The average high temperature in July is about 89 degrees, which is slightly higher than the state’s average of 87 degrees. Durham’s overall cost of living is 1.2 percent of the national average, so senior citizens on a fixed budget should have no special concerns about living here. The highest living expense in relative terms is housing, which is 13 percent above the national average. Healthcare is also comparatively expensive, at four percent above average. However, transportation and groceries are about seven percent below average. Other major expenses do not differ significantly from the national average. The rates of both violent and property crimes are quite high in Durham, making additional precautions essential for residents needing memory care. The rate of violent crime is 64.3, as compared to 41.7 overall for the Chapel Hill-Durham metropolitan area and 28.9 for North Carolina. The rate of property crime in Durham is 58.8, compared to 49.8 for the metropolitan area and 43.9 for the state. The national rates for violent and property crimes are 31.1 and 38.1, respectively. Durham is the seat of Durham County, where senior citizens will find the air quality highly favorable compared to other cities in North Carolina. The American Lung Association has assigned this county a passing grade in air pollution, with an A for ozone and a B for particle pollution. Memory Care costs in Durham start around $5,365 per month on average, while the nationwide average cost of memory care is $4,800 per month. It’s important to note that memory care rates in Durham and the surrounding suburbs can vary widely based on factors such as location, the level of care needed, apartment size and the types of amenities offered at each community. Durham and the surrounding area are home to numerous government agencies and non-profit organizations offering help for seniors searching for or currently residing in an assisted living community. These organizations can also provide assistance in a number of other eldercare services such as geriatric care management, elder law advice, estate planning, finding home care and health and wellness programs. To see a list of free memory care resources in Durham, please visit our Assisted Living in North Carolina page. 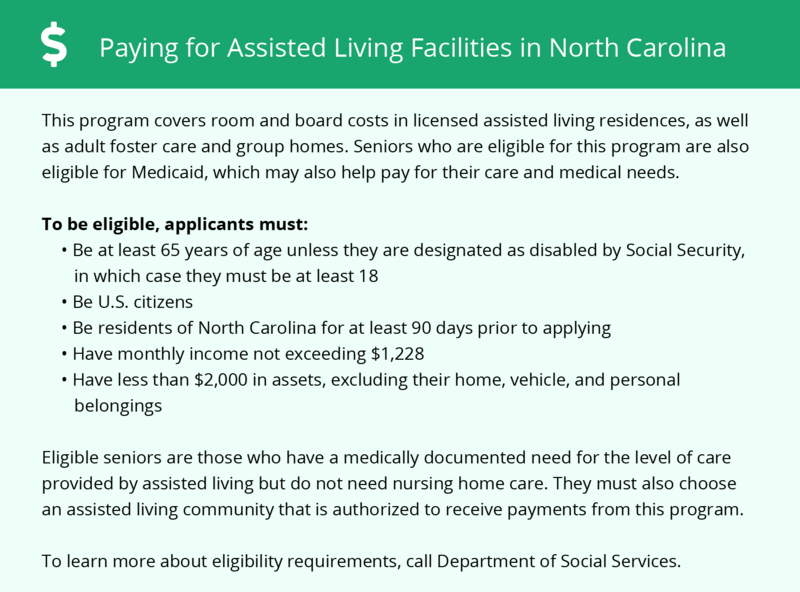 Durham-area assisted living communities must adhere to the comprehensive set of state laws and regulations that all assisted living communities in North Carolina are required to follow. Visit our Memory Care in North Carolina page for more information about these laws.